This proposed system is an autonomous train and it eliminates the need of any driver. Thus, any human error is ruled out. In this project microcontroller from 8051 family has been used as CPU. Whenever the train arrives at the station it stops automatically, as sensed by an IR sensor. Then the door is opens automatically so that the passengers can go inside the train. The door then closes after a prescribed time set in the controller by the program. It is also equipped with a passenger counting section, which counts the number of passengers leaving and entering the train. The door closes when it reaches maximum occupancy level irrespective of time allotted for the door to remain open. 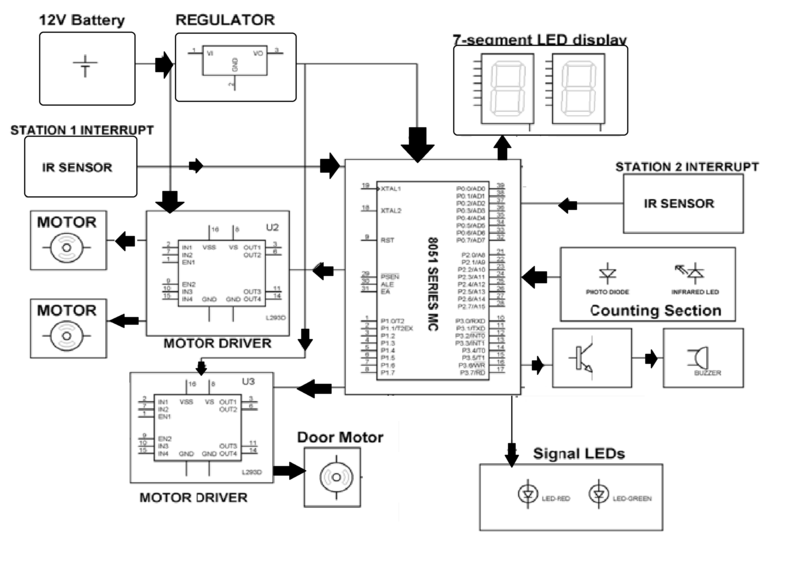 The passenger counts are displayed on a seven segment display interfaced to the microcontroller. 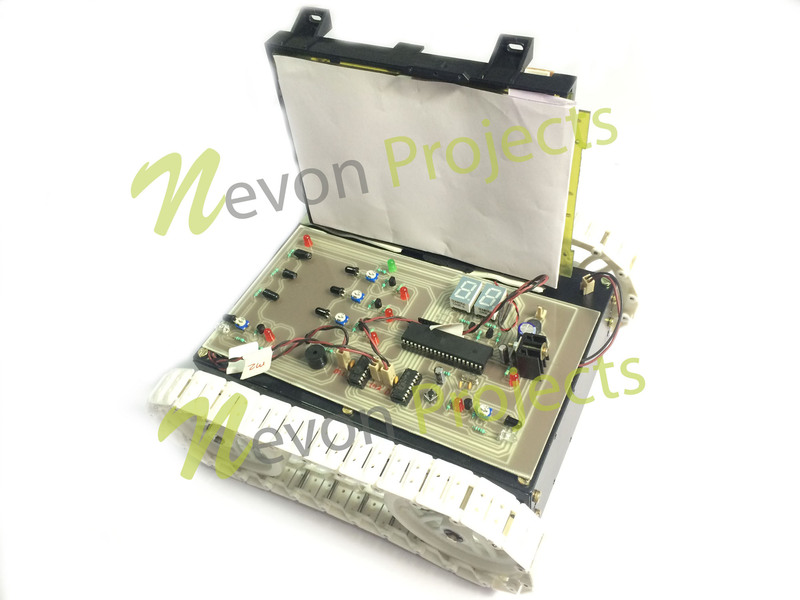 The movement of the train is controlled by a motor driver IC interfaced to the microcontroller. The train incorporates a buzzer to alert the passengers before closing the door and also warn them before staring. As the train reaches the destination the process repeats thus achieving the desired operation.